Bill Green Mentorship Concert That’s a Wrap! Home > Recent News > Bill Green Mentorship Concert That’s a Wrap! 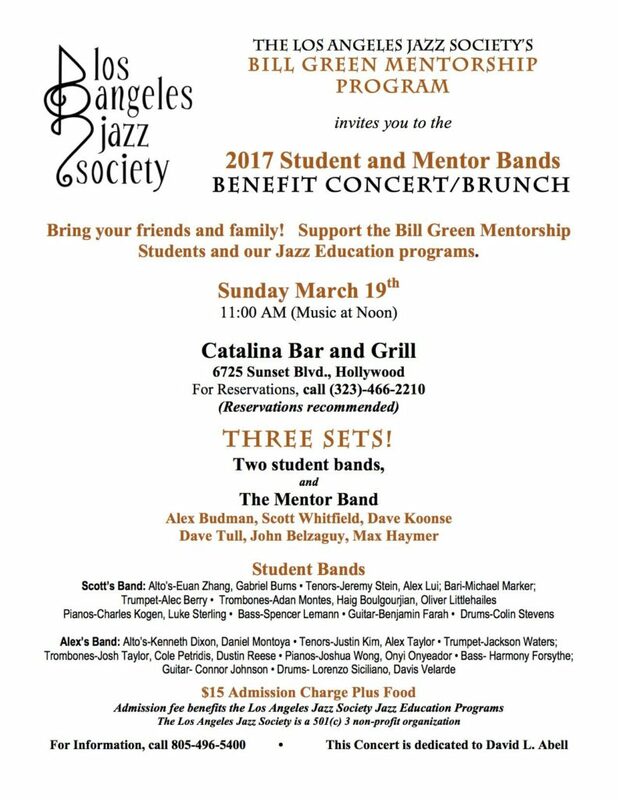 We hope you’re planning to attend the Bill Green Mentorship Concert/Brunch at Catalina’s this Sunday…PLEASE NOTE: Check-In at 12noon (not 11am) to allow for the heavy traffic and street closures due to the LA Marathon. (MUSIC will start at 1pm). The mission of the Los Angeles Jazz Society is to excite, educate and engage public school students with the vibrant rhythms and sounds of the only indigenous American music - Jazz.